The children were jumping about in excitement as they could not wait to explore and have a go on the rides. My eldest decided not to come with us as she was out with her friends so it was just myself, the other half, Sophia (aged 5) and Jacob (aged 4) visiting. Jacob was proudly wearing a huge number four badge, puffing his chest out proudly all day so everyone could see it was his birthday. 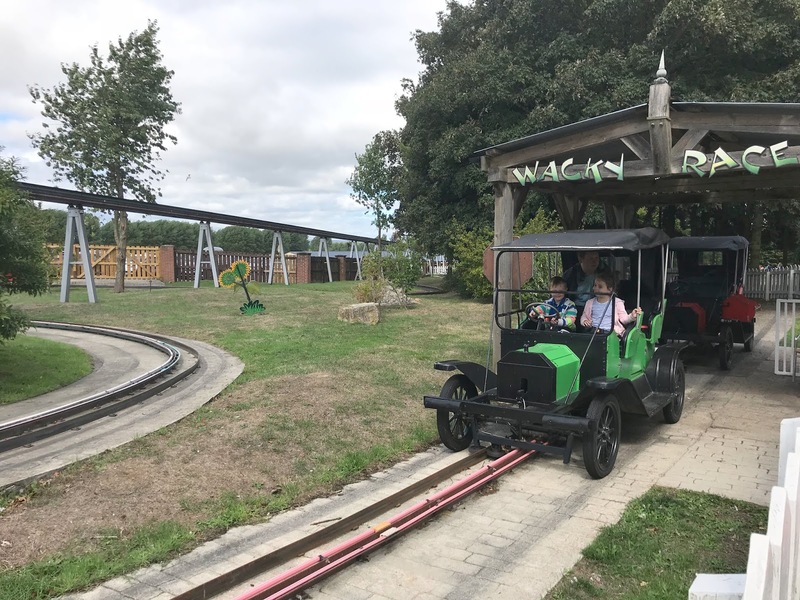 As it had been a good few years since we last visited we decided to jump aboard the miniature train which takes you around the park to see what we could see and get our bearings. The train was a great way to see the park and animals and the children really enjoyed the ride. Arriving back where we started we disembarked the train and headed to Dino stone park, my little boy is dino crazy so he was fascinated with the dino skeletons and moving dinosaurs who looked very real and he grabbed my hand extra tight as we passed them, as I think he was slightly scared. 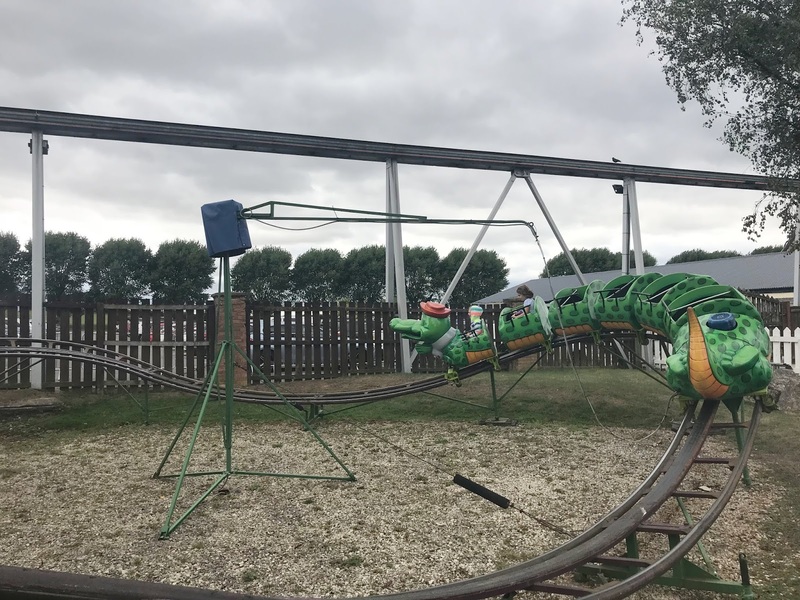 We were a bit worried that there would not be many rides suitable for the children as Flamingo Land is renowned for its steep rollercoasters and thrill-seeking rides, we were pleasantly surprised to see there were lots the children could go on. 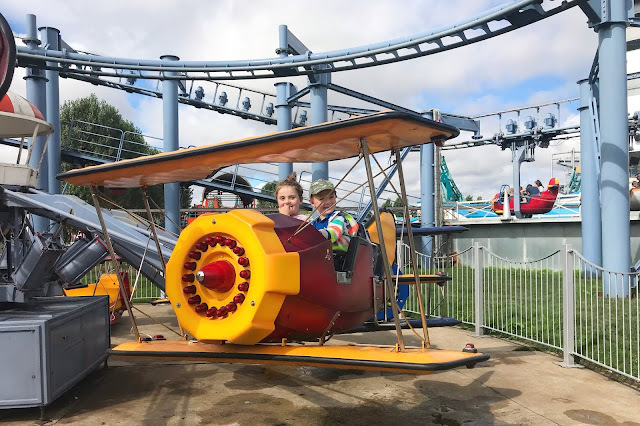 They went on flying planes, flying clowns, the wagon wheel, flying rollercoaster and the cyclosoar rides before stopping off for lunch. We had brung a picnic with us but I kind of wish we hadn't as there were so many places to eat around the park. 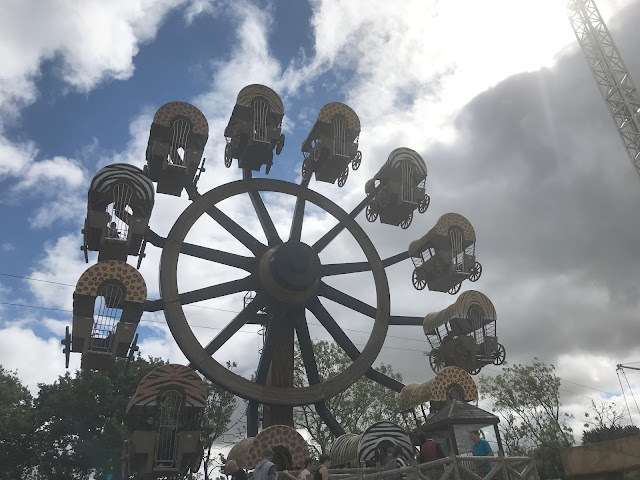 After lunch and an ice cream stop, we were off again exploring further into the theme park going on the Little Monsters Mischief house, the car rides, gallopers and helitoys, teacups, merry go rounds and multiple rides on the little snake rollercoaster. Every ride was a fairly short wait time of around five minutes, apart from the monster house which was about a 20-minute wait. Due to the short wait times, we were able to ride on some rides multiple times and cram so much into our day. We visited the zoo, taking a ride on the monorail above the baboon's enclosure, so much fun! Before seeing the penguins, meerkats, rhinos, giraffes, zebras, flamingos and all the other animals. The Tigers were hiding when we visited but my children were just happy to see the giraffes, especially the very cute baby one. 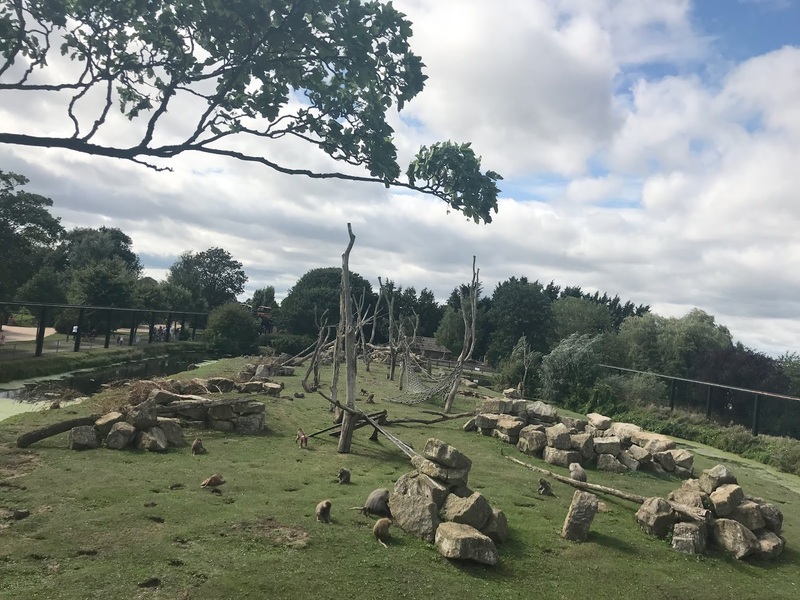 As we were having so much fun on the rides we missed a lot of the animal shows and the chance to explore Peter Rabbit land, which is a shame as I know my children would have loved these. 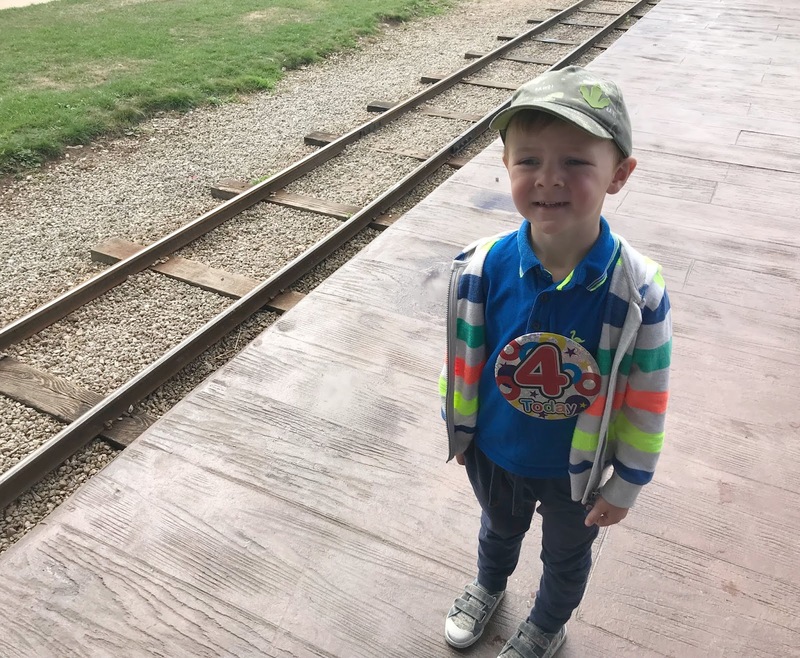 Sadly we also missed out on the chance to ride the water ride, this was all my son wanted to do on his birthday but sadly the queues were just too long and the queue buster office was closed when we visited. Another bad thing was when we were in the queue for the tractor ride a questionable family decided to push in and cause a scene, drinking and swearing in front of young children which was a shame at a family attraction. We did squeeze in a go on the hook-a-duck and a trip to the sweet and gift shops to cheer him up though. We all had a really nice day at Flamingo Land, it was exactly how I remember it - although with some newer rides. There was a lot of wasps around when we visited but I suppose at the time of year we visited it can't be helped. Other than that we did find the park clean and the prices in the gift shop were not too expensive, although I can't comment on the food as we didn't order anything. The children really enjoyed their first theme park visit, I think I am going to have a pair of thrill-seekers on my hands in the future! We had a lovely day and it was a nice way to spend Jacobs fourth birthday. 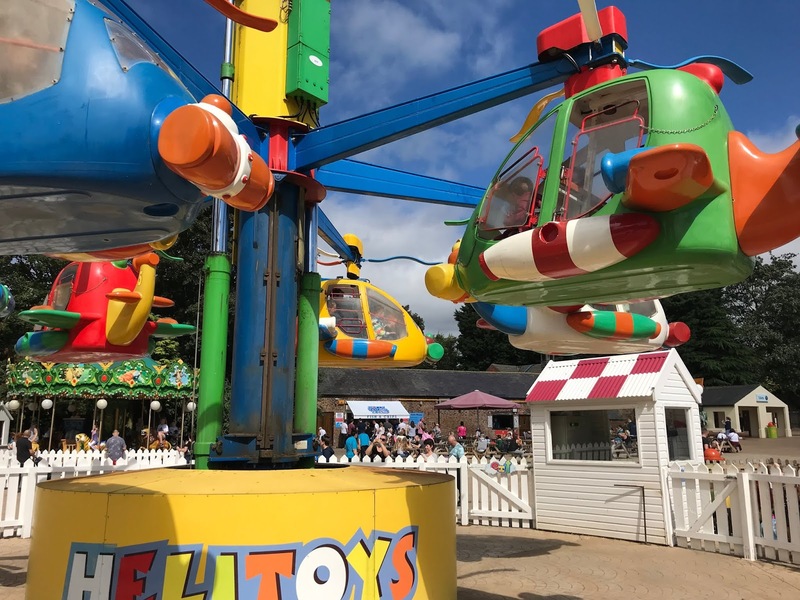 The children have already asked to return which is a testament to just how much they enjoyed it, I think we will have to return next year as there were so many rides and shows we missed out. It really is somewhere you can spend the day and not get to experience everything as there is so much to see and do. Have you ever been to Flamingo Land? 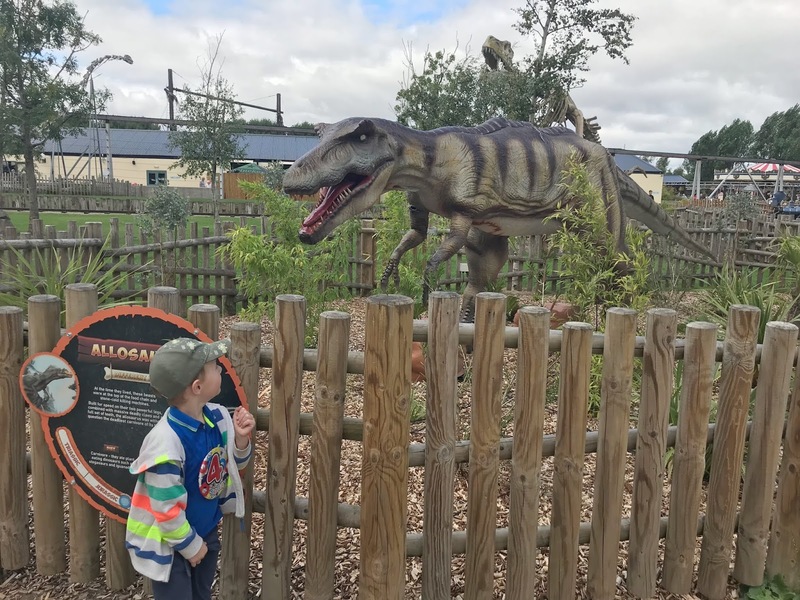 *We paid for our own tickets & Flamingo Land have no idea I am writing this review. LOVE Flamingo Land! Great to see you had a good time, there really is something for everyone there! There really is, it was a great day out. 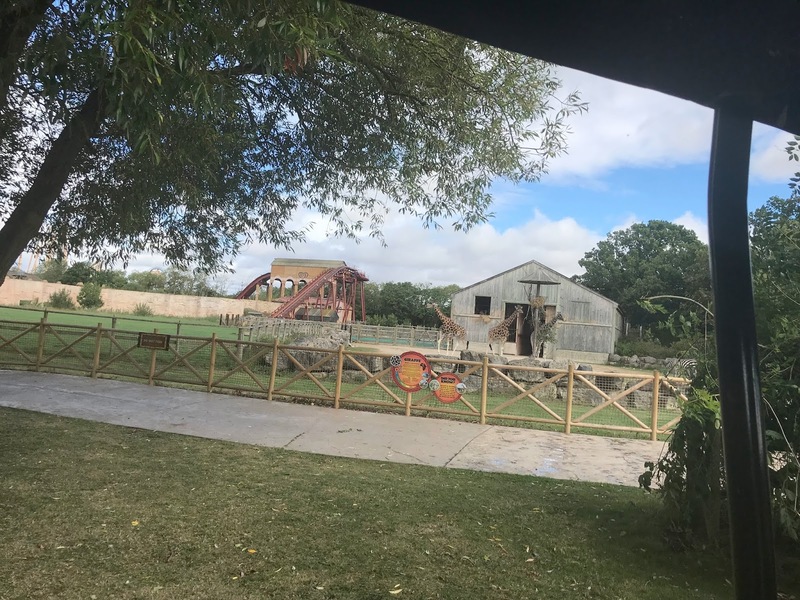 I've heard of Flamingo Land and have often wondered what was there. The rides look really good and I like your idea of going on the train first, so you can see what you want to go on. What a cool theme park. My kids would love the rides here. We've never been to Flamingoland! It's quite a bit further north than we tend to go but you've made it look worth the trip! Oh we LOVE flamingo land! It's my favourite theme park and so much fun!